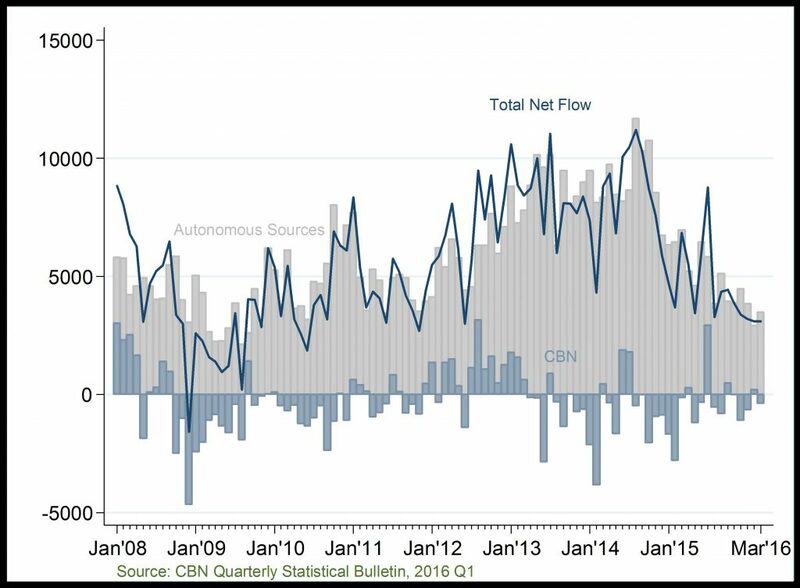 Net Foreign Exchange Flows through the Nigerian Economy: The recent fall in foreign exchange earnings reflects the decline in both oil sector receipts from CBN, and non-oil sector inflows from autonomous sources. 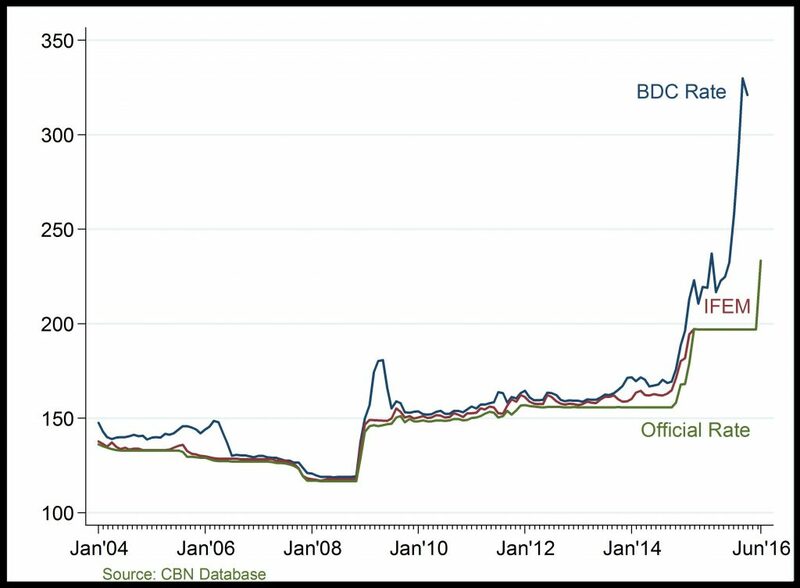 Exchange Rate: The gap between official and parallel market rate (typically, BDC) widened abnormally in 2016Q1. This is attributed to the fall in oil price driving down foreign reserve. Exchange rate worsened in 2016Q2 with the introduction of flexible exchange rate policy in June.